It takes time, effort, patience and commitment to devise and put in place any marketing campaign, including a mobile marketing campaign. When it’s done well, an SMS marketing campaign can be incredibly effective. SMS marketing campaigns can achieve a lot for your business. 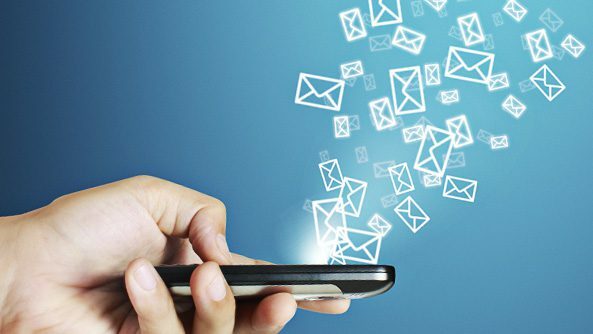 Inexpensive to affect, particularly in comparison with print and other media forms of marketing, SMS allows you to connect and engage with your consumer base as well as to track your vendor-customer relationships. You can provide information, offer coupons and vouchers, set appointments, send reminders, run competitions and polls, send event invitations, and much more. All of these are delivered directly and literally to the hand of your targets, via their mobile phones. What could be easier? So how do you ensure the success of your SMS campaign? Select a campaign design that is relevant to your business and your customers. Do you want to gather customer feedback? Send reminders? Advertise and bring consumers in-store? Are you looking to reward loyalty? Choose a campaign based on what you ultimately wish to achieve. Sign up to receive messages from your own SMS campaign and consider them from a third party perspective. Make changes where you perceive they are needed. Personalise your messages with customer names; even better, acknowledge their previous activity with you. Link to your website in your messages as well as to your social media presence. This will drive traffic towards your business. Deliver incentives that encourage engagement with your call to action. For example, offer a percentage discount in-store for each active response you receive. Be clear and concise. SMS is not the place to be wordy – and recipients won’t bother if you are. Additionally, always proofread your content prior to hitting “send”; keep a good sentence structure and avoid non-standard abbreviations. Don’t send out too many SMS campaign messages. Always consider your timing when you send (avoid early mornings, night-time, and evenings) and always provide a clear opt-out option. Make your messages something of value to consumers rather than a nuisance. Partner with ClickSend. We are an industry leader offering a global business gateway platform for SMS marketing, email marketing, and much more, and we are second to none in our product, service, and professionalism. We will help you get results! Contact us today to learn how we can facilitate your communications and power your messages to the whole world.